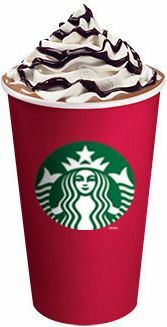 Mathematicians on over 100 of America’s college campuses have expressed outrage over the new Starbucks red cup design. In previous years, the Starbucks holiday cup has featured snowflakes and other fractal symbols such as bare trees and Santa Claus’ beard. 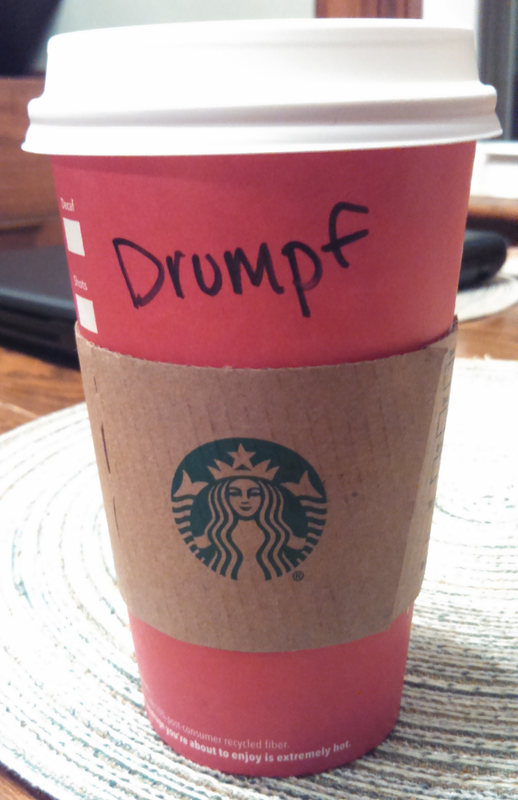 The Starbucks red cup is just the latest blow in the so called “War on Fractals”. The coming El Nino for 2015 is expected to significantly reduce snowfall, cutting the number of unique falling fractals by hundreds of millions. The fractal protesters have found a surprising ally in the Koch brothers, who have offered $200 million to affix eponymous “Koch Snowflake” stickers to every red cup in America. “People should have the right to put fractals on their frappuccinos,” remarked David Koch. Starbucks has attempted to placate the protesters by offering almond bread and Sierpinski’s squares bakery treats. The new items aren’t going over very well with customers, however. I was having a hard time getting any work done this morning. Part of it was simple distraction. I wanted to install the new GOG Galaxy beta onto my laptop and wasn’t quite sure why it wasn’t detecting all of my games. But even after I’d managed to pull myself away from my home laptop I still found myself having a hard time concentrating. Sometimes the drive into work can be a good way to focus my thoughts. Though this particular morning I had fog on a dark winding road that required more than my by the numbers attention. So I was twenty minutes late, and had no ability to reflect on what I actually wanted to write that morning, even though it was a scene I’d been playing back in my head for the last week. But I still had a good hour in which to work. I had caffeine at the ready, and a good cozy environment (after I turned the main office overheads off). But for whatever reason I couldn’t get more than about 600 words done, and after about 45 minutes of fighting my inner censor’s need to delete the whole thing, I packed it in and hoped for a better session in the evening. The funny thing is, it only occurred to me later what the real problem was. I hadn’t turned on any music. Music actually has a profound ability in helping me to focus and find a certain mood. I’m not someone who works well in complete silence, as there is never a environment that is truly silent anyway. I’m used to my office in the early mornings, but it still isn’t the most comfortable place, and admittedly I’m more used to the ambient noise of people around me. Sitting in the dark even in my own little cubicle can be a little uncozy. But music would have fixed that. There are things we do that help us focus, that put us in the right headspace to work. For some it’s a tidy workspace, and for some it’s the exact opposite. Even though I try to be the kind of writer who can work just about anywhere, the truth is in order to do that I have to do some of the same things every time. Call them rituals, or habits, or comfort security blankets, what have you, but they make work easier, even on days where it’s hard to get anything going. See this evening I’m not listening to my music, but outside there is rain and there is a soundtrack playing in the Starbucks. My laptop is laying comfortably over my crossed legs as I sit in a comfy chair. The place is nearly as empty as my office (finals must be over for OSU, usually this Starbucks is full of students). When we’re feeling stressed, when things don’t feel like they’re working, sometimes it’s because we’ve forgotten to do the little things for ourselves that put us in the right frame of mind. You stretch before you exercise, you take a shower after you wake up or before you go to bed, you do vocal exercises before you sing. Whatever activity we need to stretch and we need to feel comfortable before we can really get good work done. Otherwise we are fighting our bodies. Now sometimes we can be really good at “powering through”, but that takes a toll in the long run. Better to take those few minutes to breathe, than to be fighting for air the entire time. What are your rituals that help put you in the writing frame of mind? I am writing to you this morning from the edge. Chances are, sometime today you will encounter “the edge”. Whether you’re like me, and decided to substitute my typical morning dark roast for a pumpkin spice latte, or are simply going to the bank to get a little money out for the week, you are living on the edge. The edge is where everything happens. As some of you know, my day job is as a programmer, specifically one who works on software that supports medium to enterprise level data-centers. Data-centers these days are almost like a public utility, they are the backbone of every transaction on the internet, every piece of electronic medical data, our spending habits, consumer preferences, etc. are all stored on rows and rows of server racks. But it isn’t practical for us to have to talk to a central data-center every time we want to buy a cup of coffee, or track our reward points. A company like Starbucks has literally thousands of stores like this one. My particular bank branch lives in a Kroger in the same plaza, and that also tends to be where I buy groceries for the week. In one little plaza are about maybe a quarter of the transactions I do throughout the week. So where does my data live? Well, some of it does live back at that central data center, but the part that interacts with me, that knows who I am when I walk through the door, and knows that most mornings I just go for something like a “venti kati kati”, that part is stored in a data closet in the physical Starbucks store, or in a cash register. That’s the edge. If our data-center is the hub of a wheel, branches of stores are at the end of each of the spokes. A mini-data center, maybe a single computer or a couple of network devices live everywhere, making it possible for a Starbucks to know who you are when you walk through the door (doubly so if you walk in with a smartphone). And bad things can happen on the edge. The Target hack last Christmas was due in large part to someone infiltrating the computer that updated the software on Target cash registers, and loading their own little trojan programs inside. Every cash register is a manifestation of the edge, and this is where millions got their credit card information stolen. See, a large data-center has pretty good security. To break into its system, you’d often need to have physical access. But the edge by its very nature, has to operate wherever you are. And its often homogeneous, seen one branch computer seen ’em all. So what do we do? Well, honestly probably nothing. We live in a society that is moving toward “the internet of things”. Even more devices besides what we conventionally think of as computers will start talking to the net, whether it’s a smart pill bottle, pedometer or even our umbrella. We’re paying for things with our smartphones, loading up coupons on our reward cards, and depositing checks by taking a picture. The only way to support that massive influx of data is a data-center infrastructure that is both centralized and distributed. And the faster we grow, the harder it becomes to make everything secure. But that’s okay. We change our passwords, have credit card fraud protection and two-step authentication. I’m not proposing we go to a cash only society, or bring down the net, or anything like that. I just think we should be aware of how our world is continuing to change around us, and at least be able to put a name to it. So there, you’ve learned the one data-center term you’ll ever need to know. Okay, there’s also UPS (Uninterpretable Power Source). It’s a big battery that keeps everything running when the power goes out. Now you know two.